Life is a roller coaster with its ups and downs. One can choose from a wide pallet of emotions what one wants to wear as their attire everyday. You can make suffering optional when you are in pain. 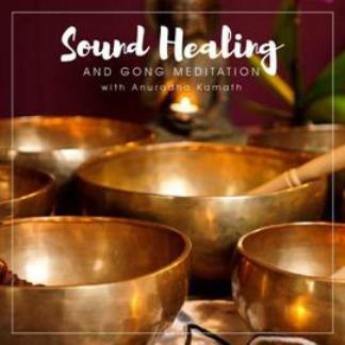 Enjoy 60 minutes of understanding pain and suffering & experience inner quiet with Anuradha though a medley of sound healing instruments that deepen your experience by immersing you in them. The intense breath work quietens the inner chaos. Rhythmic chants invoke positivity. The gentle postures of Gong Yoga & Hand Mudras align your mind & body. Aroma Therapy is interwoven through guided meditation to give you a true escapade from the grip of 5 senses. your capacity to give and receive beautiful love and activate your heart & womb connection wisdom. There are 2 primary emotions in life: love and fear. When love guides your life, you expand, you blossom, you thrive. When fear leads your life, you get stuck, you live a life that is beneath you, you encounter blocks and challenges. You can feel exhausted, stressed, frustrated, lonely, uninspired, bored. The course is designed for you to release the blocks and increase your capacity to give and receive LOVE. The program includes healing practices, meditations, sound journey, creative expression, partner work and sharing circle. As you uncover your blocks, defenses and patterns, Silfath will guide you in restoring the energy of love, bringing more flow, harmony, peace and pleasure in your life. To be Embodied is to be fully in your feminine body. And once a woman is in her body, she is connected to her wisdom, her light and her grace, she taps into the energetic web within and can magnetize her heart desires. In this class, Through Embodiment, you’ll discover and activate the following essential feminine codes for healing, clarity, joy and manifestation: sensual aliveness, authentic expression, sacred sexuality, emotional flow, soft receptivity, abundant pleasure. This isn’t a regular dance class, it’s a journey back home to yourself and the powerful Creatrix you are. 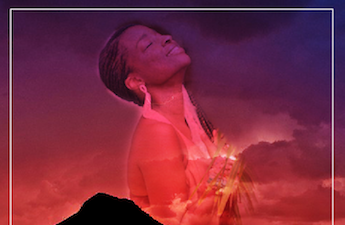 The Feminine Alchemy Immersion is a beautiful initiation to restore women in the seat of their feminine power: the womb-heart vortex of love and creation. Women experience a deep transformation: healing their bodies, cultivating vitality, increasing their manifesting power, finding clarity and magnifying their true radiance. The sacral chakra is the energy centers that regulates movement, creation and manifestation, self worth, sensation, emotions, feminine vs masculine balance, sexuality, vitality, intimacy and pleasure. When we are healthy on our sacral chakra we are full of energy, we savor the sweetness of life, we create and birth projects, ideas, fulfilling relationships and wealth. We can change, adapt and dance effortlessly with our environment. We know how to nourish ourselves and our soul desires. It's the chakra of emotional identity and self-nourishment. The shadow is guilt. Are you afraid of what people might think or say about you? Are you afraid of not meeting expectations? Are you afraid of not fulfilling your dreams? Are you afraid of losing loved ones? Whatever your fear, here is you chance to feel the fear and do it anyway! Fear is part of our genetic make up. We are human so we have fear. If we did know know fear then we would not know love. But, if we suppress our fear, if we ignore it, it will bubble up into a big ballon that clouds our judgements and gets in the way of your choices. You will live a small life guarded by rules, structures, routines and habits. But do you really want you soul to live in a cage for the rest of your life? Or do you want to break free and give your soul a chance to use this fear as a force, as a fuel to help propel it forward in life? 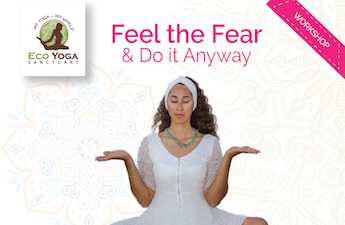 Join Shama Kaur from Egypt on this special workshop to dive into fear, to understand, release and transform it into a viture that can carry through towards your destiny. Through lecture and discussion you will unravel the many layers of fear that block you from expressing your real self. To release the fear, you will expereince kundalini yoga exercises and meditations to transform unmotivated fear into a motivated fear to help you grow, excel and reach all your heart's desires, allowing your soul to unfold into the beautiful radiant flower it deserves to be! * A non refunable 50% deposit is required to book your spot. Shama Kaur is Egypt's first Kundalini Yoga Teacher Trainer. Her name means ‘the one who shines the light of her inner soul'. She completed her training at the age of 25 at the Kundalini Research Institue in New Mexico, USA in 2012. Ever since, she been teaching kundalini yoga classes, workshops and delivering teacher trainings in Egypt and the Middle East. Her first encounter with yoga came at a time where she was struggling with her mother’s eternal disease and Kundalini Yoga brought her healing. She has a an unquestionable devotion and commitment to spread the teachings of Kundalini Yoga as taught by Yogi Bhajan to all those who are keen to bring healing, awareness and spiritual consciousness in their lives. She has a passion for delivering workshops that combine music, arts, dance, mandala creation, drama, chanting and healing gong baths with Kundalini Yoga as taught by Yogi Bhajan. Shama is also the founder of YallaYoga Center, Egypt's first academy to deliver professional yoga education and training. A graduate of Business Strategy and Commerce from McGill University Montreal; Shama also holds a Masters degree from King's College London. Aries Full Moon the 25th Sept is the harvest moon of the year. This powerful moon cycle, is asking us to set ourselves free, living freely beyond fears. It is the time for breakthroughs, after another intense period of purging and releases! 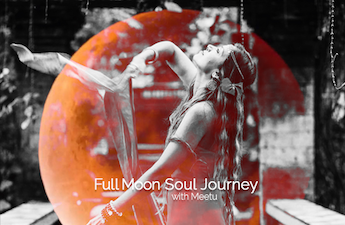 Join Meetu, on her unique Deep Healing Soul Journey, to release what doesn’t serve us, integrating a deeper healing, forgiving and integrating wholeness, calling upon our soul fragments and healing on a deep soul level through releasing Past life Karmic patterns. This session is about breaking out of old Karmic Patterns, Cord Cutting and integrating our Soul fragments. 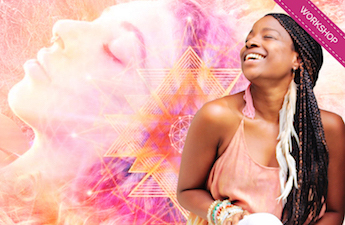 Surrender, Upgrade, Move forward, by implementing the energies of this Aries Full Moon.